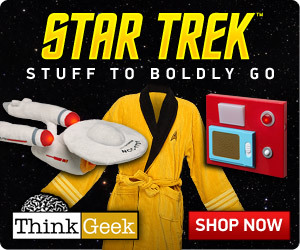 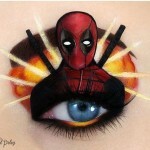 If the pictures I have seen are any indication, I suspect all of the Fanboy Fashion readers have descended on the San Diego Comic Con even this weekend so I am not even sure I should bother with this post since I doubt anybody will see it but since I am stuck at home since I couldn’t afford to go to SDCC this year, I might as well and just hope that people pass this post around the show floor and maybe I can get a few new readers. 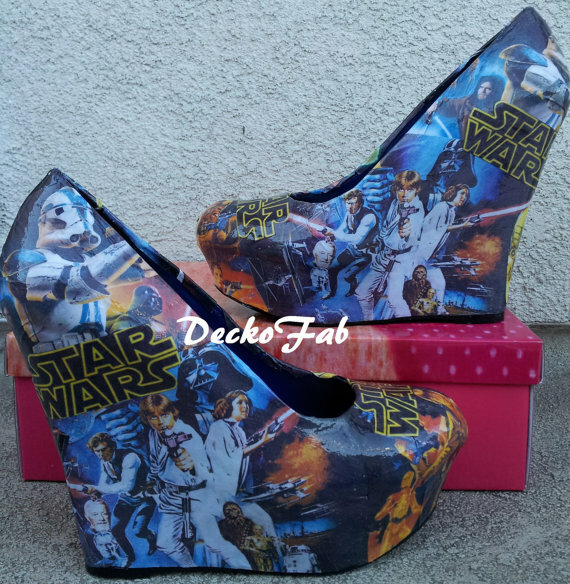 Speaking of things you might see around the San Diego Comic Con, I wouldn’t be surprised at all if you spotted some lady walking around in awesome Batman heels like these. 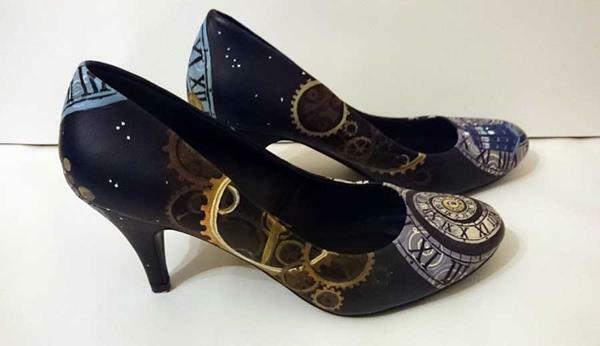 Etsy seller WickedAddiction is selling these incredible Swarovski crystal encrusted Batman Heels for $175. 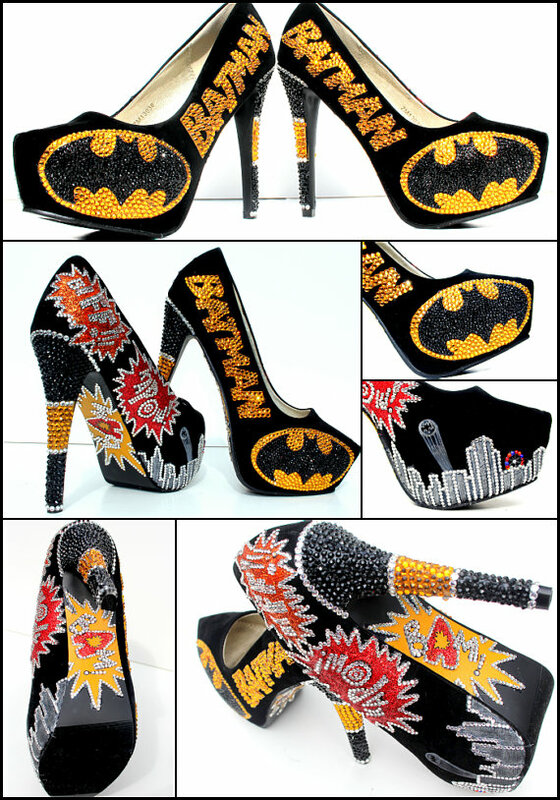 This pair of Batman high heels are hand painted and covered with more than 2000 Swarovski crystals. 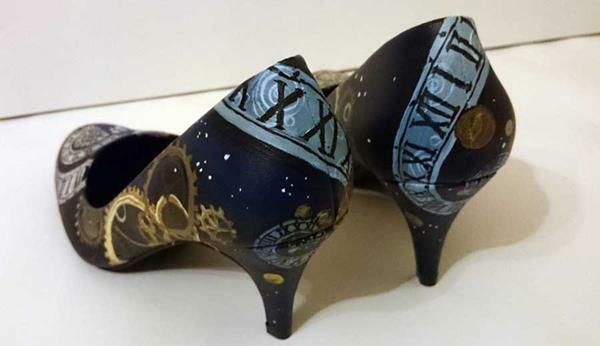 The price may seem a little steep but when you think about the time and effort involved in the painting and placing of more than 2000 crystals, this almost feels like a bargain. 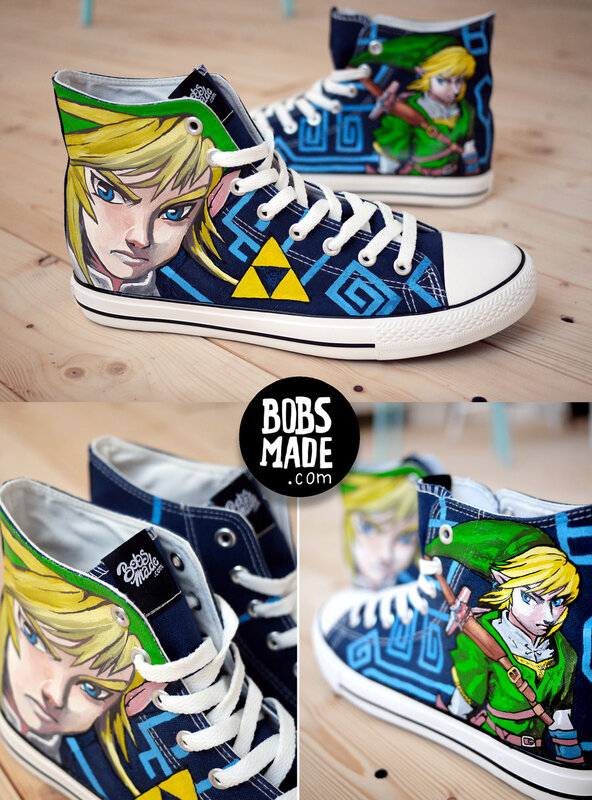 Thanks to the material my shoes are made of, any real cool customizations just aren’t possible which makes me kind of sad, but I still enjoy seeing the works of art that people make out of their shoes. 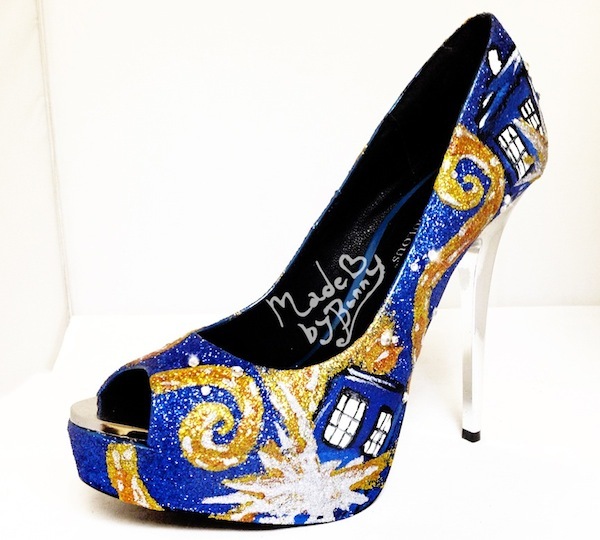 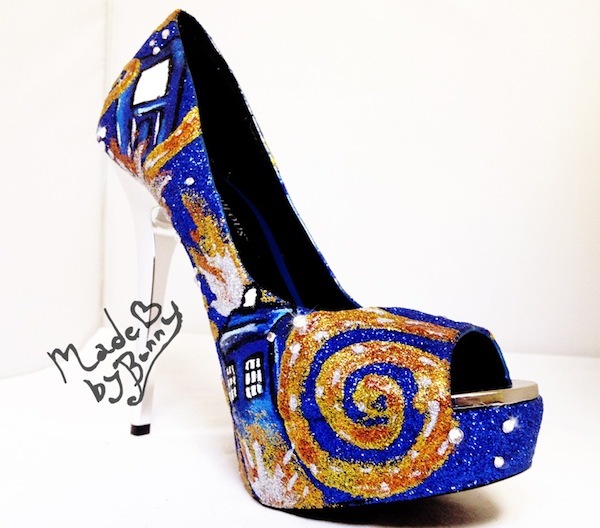 In this particular case, I stumbled across some really cool hand-painted Doctor Who shoes featuring the TARDIS and the 10th and 11th Doctor. 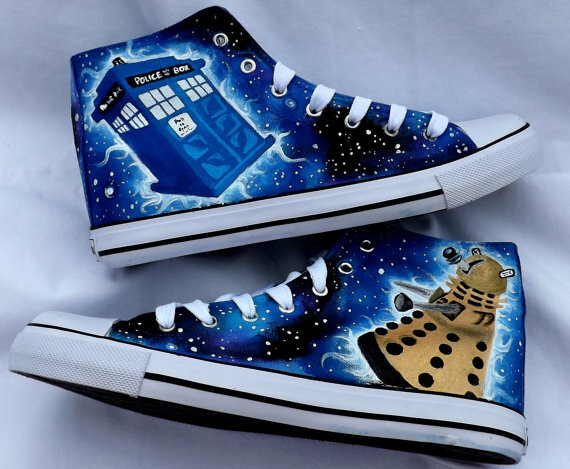 These fantastic painted Doctor Who shoes which features the TARDIS and the 10th and 11th Doctor’s clothing was posted on Facebook by Post Pond Depression. 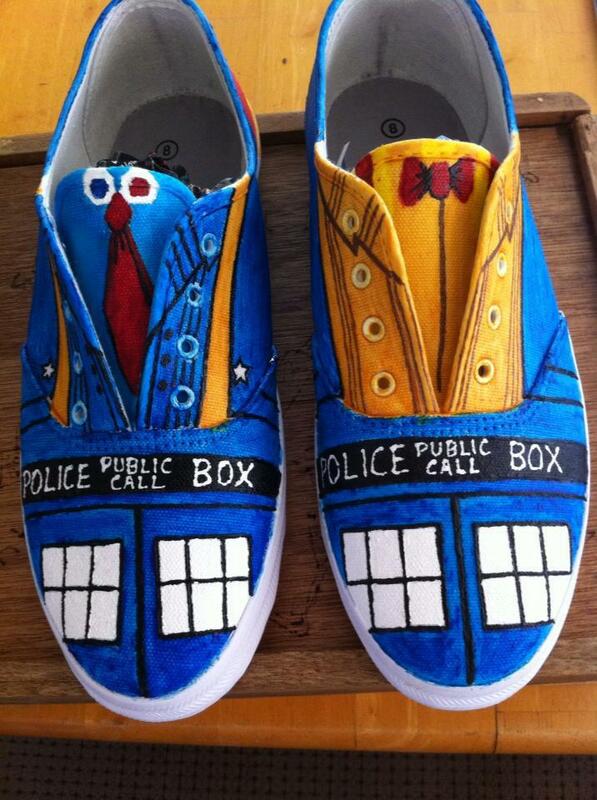 Their mom made them for them and I think they turned out great! 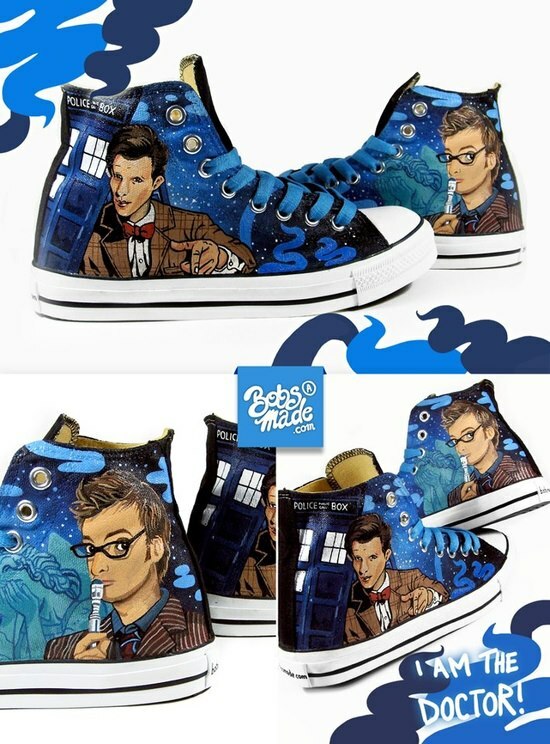 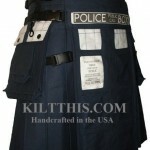 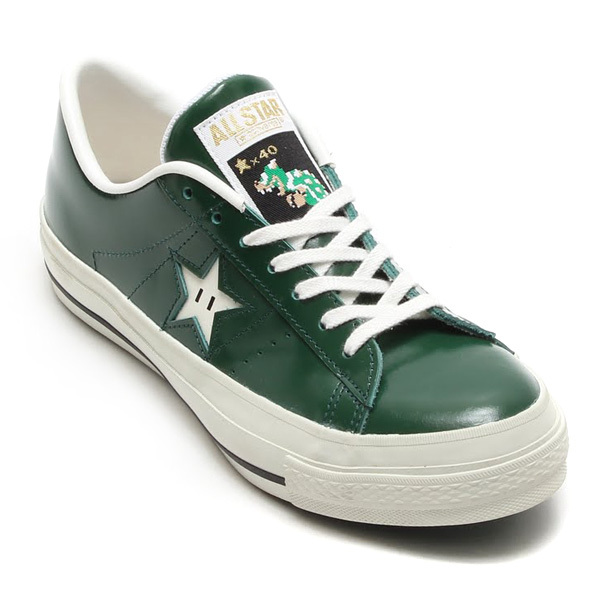 Unfortunately, I think when you get laces in these shoes, I think it will kind of ruin part of their Doctor Who charm. 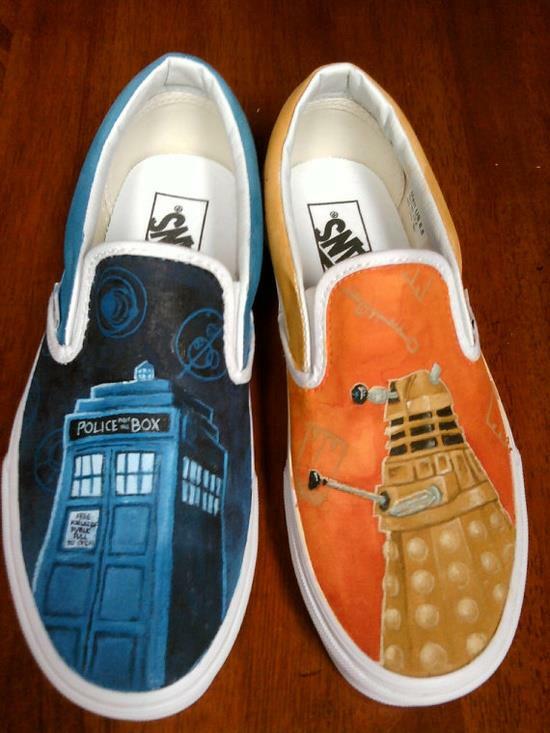 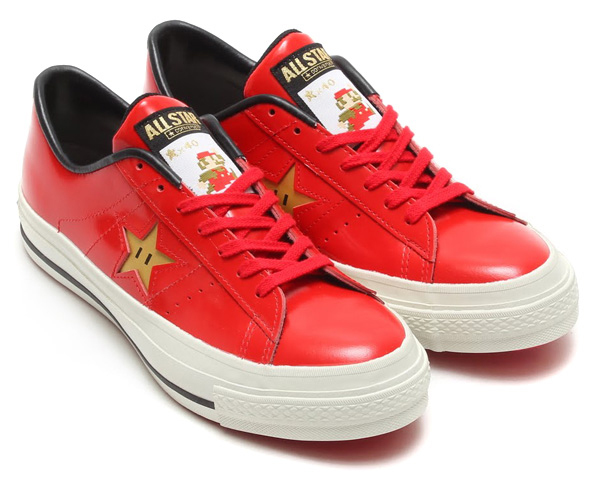 I wish you could buy shoes like these somewhere because I would love to have a pair.